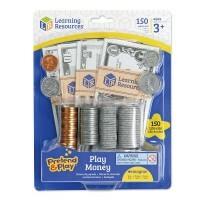 The play wallet by the Learning Resources looks like a real wallet, and contains everything real wallet has: pretend cash, play credit and bank cards. 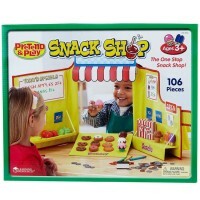 Children do need pretend money to buy things when they play store, or go imaginative shopping, or play family with their friends. 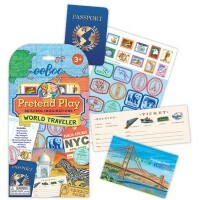 How about a wallet full of play money? 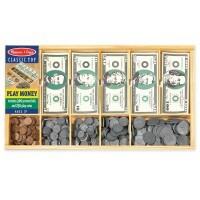 That will work perfect for your kids pretend games. 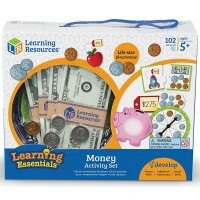 The Cash n Carry Wallet Money Learning Play Set by Learning Resources looks like a real wallet, and contains everything real wallet has: pretend cash, play credit and bank cards. 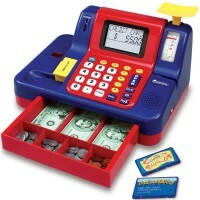 This play money toy from Educational Toys Planet comes with 30 bills, 40 coins, a realistic looking credit card and bank card. 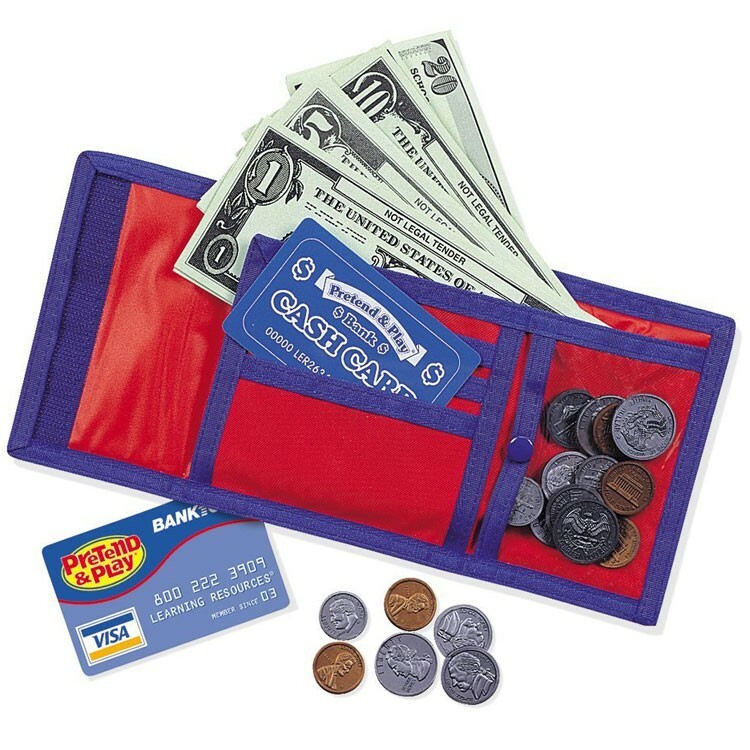 The kids wallet is made of durable fabric. There is a see-through window for a picture or pretend drivers license. 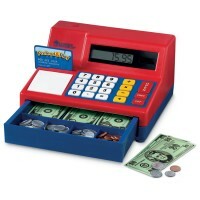 Velcro secures your child's pretend cash and zipper closes up the coins compartment inside the Cash n Carry Wallet Money Learning Play Set. 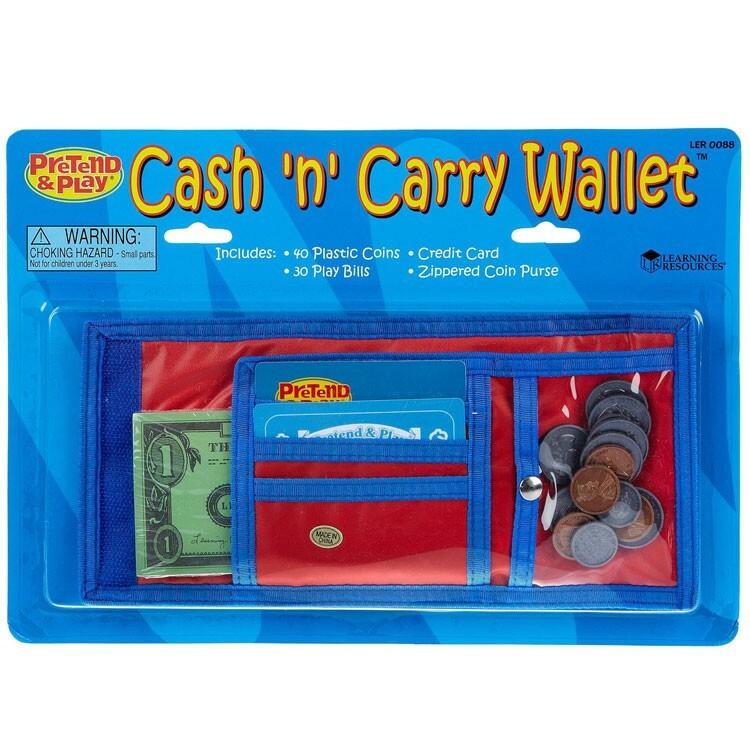 Dimensions of package 5.4" x 7.8" x 0.5"
Write your own review of Cash n Carry Wallet Money Learning Play Set. Rating: 5 Keep Learning by By A customer I especially like this as it reinforces learning and memory. Rating: 2 Not good for a child over six. 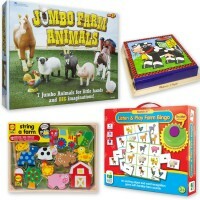 by Jaimie Not for a child over six. 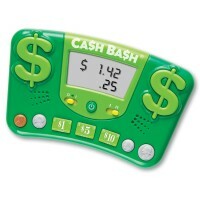 I didn't want to spend much on a wallet for a kid that loses everything. But wow was this not what i needee. 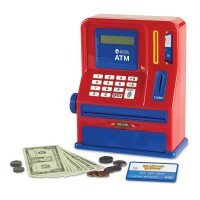 It comes with paper money and plastic coins. I just couldn't give it to a ten year old boy so i ended up at Wal-Mart since i had to have it for Christmas. It looked better in photo. Too much trouble to return even if i got two. Rating: 5 Good buy! by By A customer Fun gift. Will give hours of entertainment! Rating: 3 It's not the best.. by By A customer It was a quick delivery but the package was damage. The entire bottom of the package was open. The wallet does not fold well at all. The velcro isn't strong enough to keep it closed either..it just pops right back open. It's a cute idea..Just wouldn't buy again. Rating: 3 Three Stars by By A customer this was good for about a day then discarded. Rating: 5 Five Stars by By A customer Looks like real money, but dont try to use at local grocery store.